Google Account Manager Apk: Android Smartphone has different apps that help Android users to use their phones easily. Well you might be using Gmail or some other Google related application on your device, but do you know how all your accounts are synced? The answer is simple because we have Google account manager app which by the name itself suggests is an app that manages all accounts related to our Android phone. But the primary reason to use this app is to manage all our Google accounts and make them synch with other Google products precisely. It means that we can’t always remember all the Gmail that we registered for, so we can use this app to automatically sign in with just one click. Other feature of this app includes automatic form filling for different login and sign up pages along with Google services. This app utilizes the autocorrect function so that when you are trying to fill address or name for phone number, it might come in handy as well. For example if you open your Gmail app then you can find all list of recently signed in Gmail accounts which can be logged in with just one click. On the other hand sometimes family members use the same mobile sometimes, and then use of this app comes in handy. It is so because you can have those accounts already synched so that you may choose to select either of the account to login comfortably without remembering those details again. But sometimes when this app is not successfully updated, then there seems to occur some problem which does not allow you to sign in properly. This error occurs when Google account manager app is outdated and it will stop functioning properly. Due to this we cannot automatically sign in with our Gmail account and the same time syncing will not work properly. So in this post we are going to learn how to get rid of this problem, by installing the latest version of Google account manager instead. So as I already mentioned if this app does not work properly, then there might be some problem related to login with other apps. The best way to get rid of this problem is to use the Google account manager apk latest version from online and install it. So I will be showing you how to install the Google account manager app without any problem. Basically you can either go to Google app store or Apkmirror network, or then search for the app “Google account manager” first. And then download the app simply by clicking on install button, which will download the apk and then the app will be installed. Note: I would prefer to update the phone before going to install the apk or app on the Android phone. It is so because the Google phone updates are meant to update the basic apps similar to Google account manager and others. Google account manager is one of the essential basic Android apps that keep your phone functioning properly. 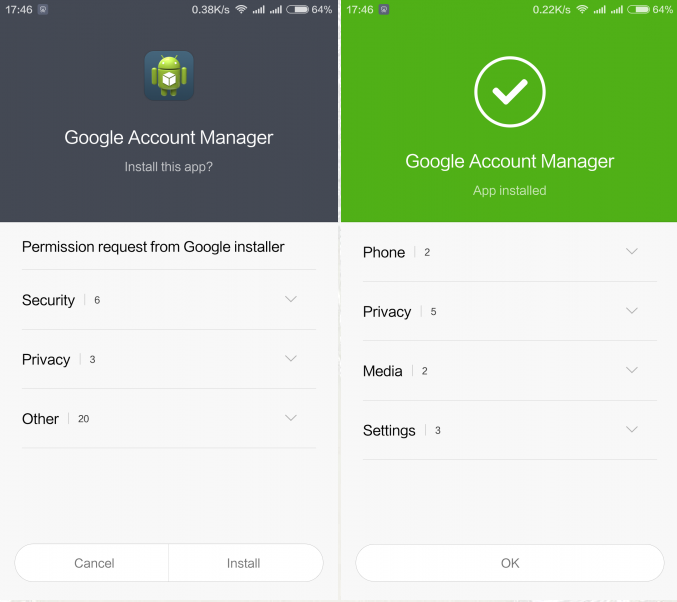 And after following this guide you can understand how easy it is to update the Google account manager app on your Android phone.